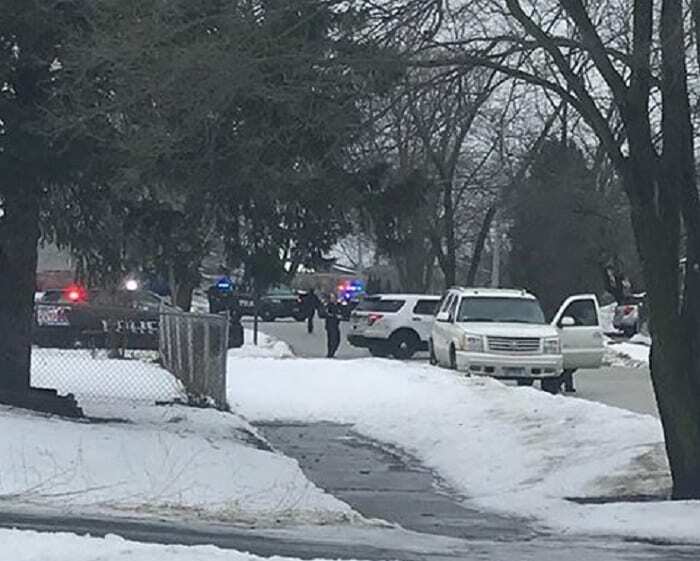 A 35-year-old man was shot and killed by a police officer on the far north side of Waukegan Sunday afternoon | Photo provided to Lake and McHenry County Scanner. A man who tried running over a police officer with his car in Waukegan Sunday afternoon died after police shot him, authorities said. The Waukegan Police Department responded at 2:30 p.m. Sunday to a call of an unknown problem in the 3500 block of Windhaven Drive. A responding officer found an occupied car in front of a home with a 35-year-old man and an 18-year-old woman inside. “As the officer approached the vehicle, the driver disobeyed orders to stop the vehicle and attempted to hit the officer with the vehicle. The officer fired his duty pistol striking the driver,” Waukegan Police Chief Wayne Walles said. The vehicle continued to flee the area and then crashed into a telephone pole a block away, Walles said. The man was transported to an area hospital where he was pronounced dead. The woman was also transported to an area hospital with minor injuries from the crash. Police said that both the man and woman were from Waukegan, but authorities are withholding their identities at this time. An autopsy has been scheduled with the Lake County County Coroner’s Office for Monday afternoon. The police officer who shot the man was not injured and was transported to a local hospital for a precautionary checkup. Walles said that the officer has worked as a police officer for 20 years. The shooting remains under investigation by the Illinois State Police.